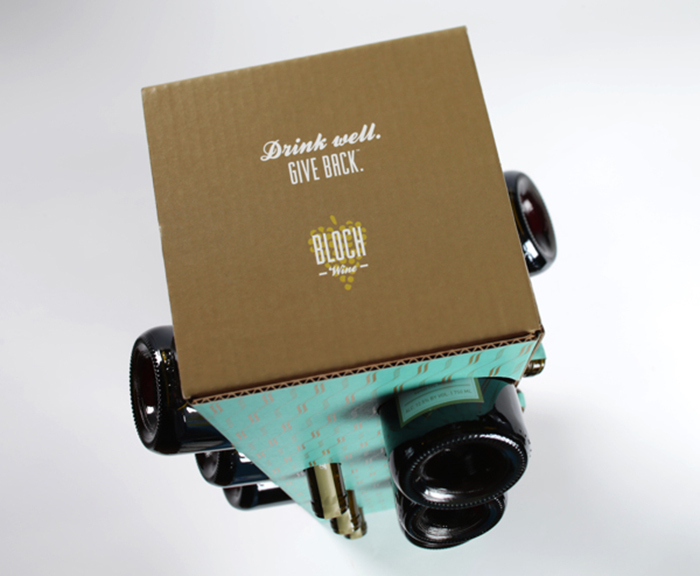 A new local wine, harvested at Tom and Mary Bloch’s winery in Spring Hill, Missouri, was sold in order to benefit local charities. 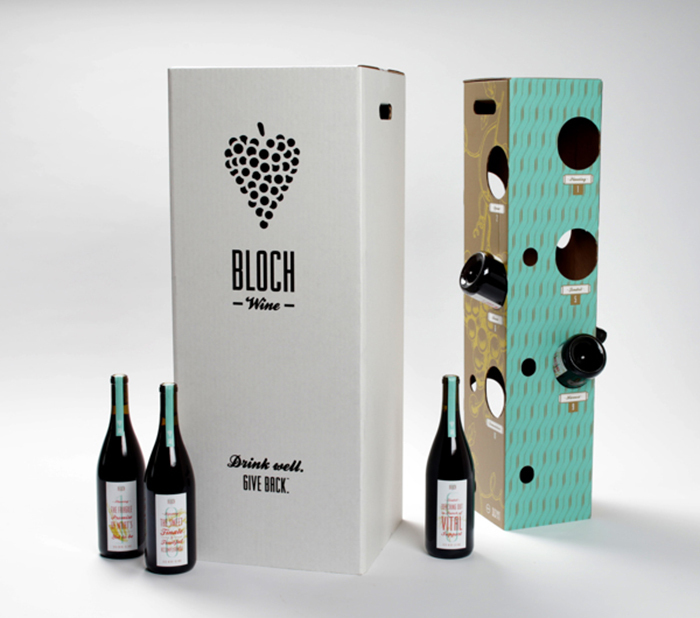 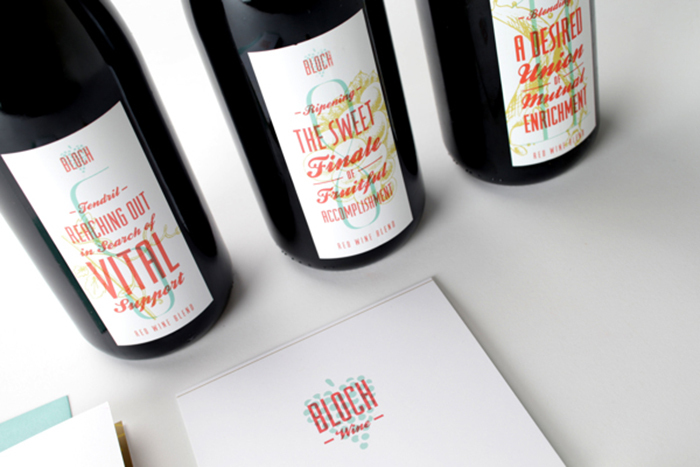 Identity system, Labels, party invitations, giving cards, and wine tree were created to celebrate the inauguration of Bloch Wine. 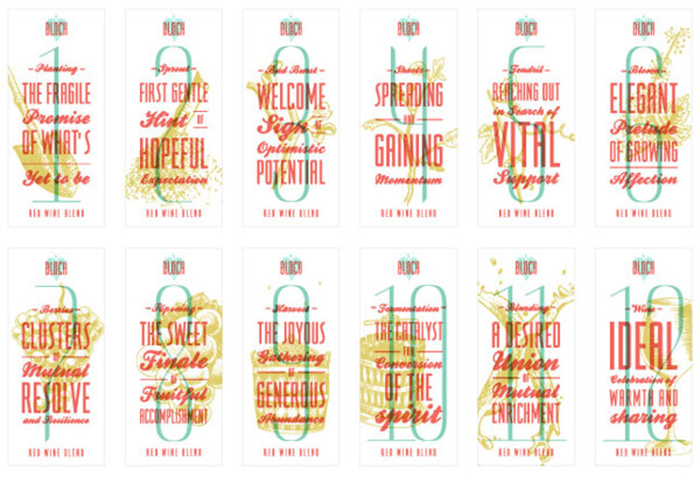 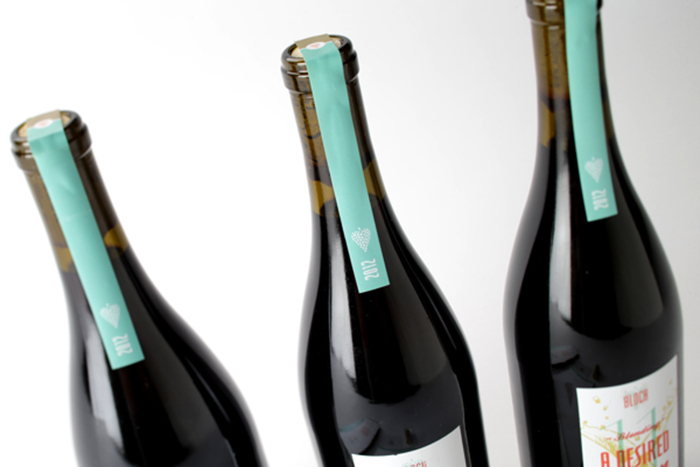 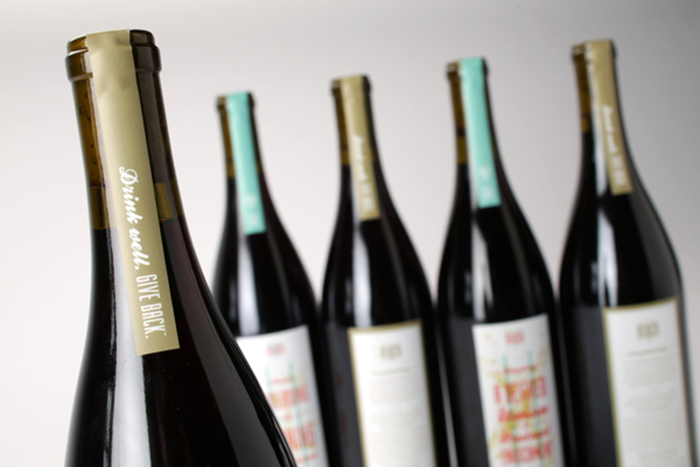 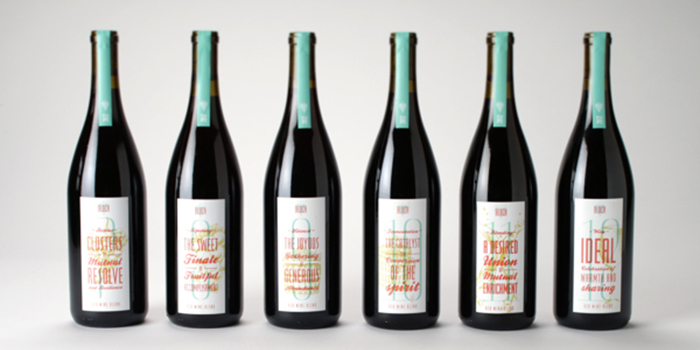 Each unique front label relates the 12 steps of making wine to the 12 steps that make up the creation of a charity. 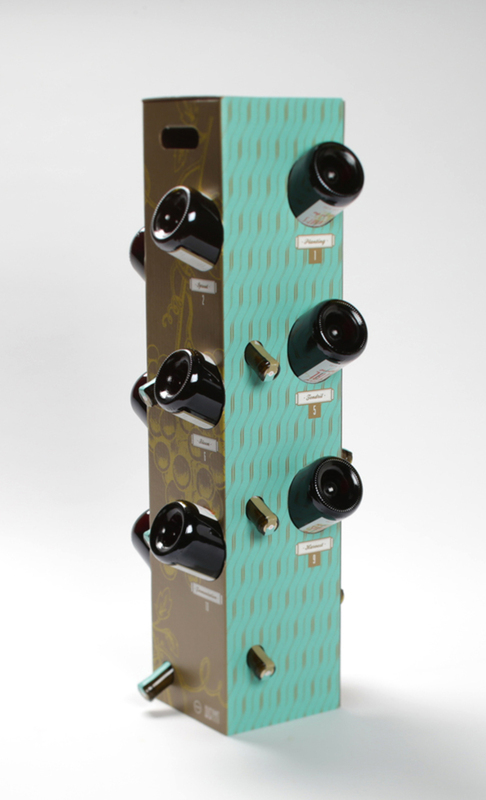 A custom designed corregate wine rack was designed for both transportation and display purposes. 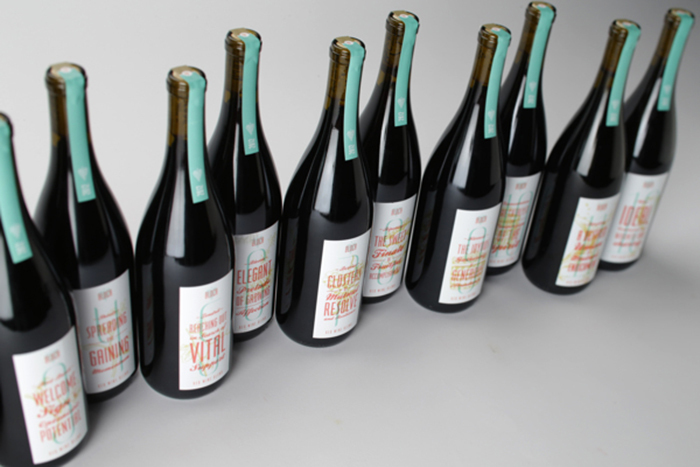 Each bottle was hand labeled and packaged for distribution at an event held at Amigoni Urban Winery. 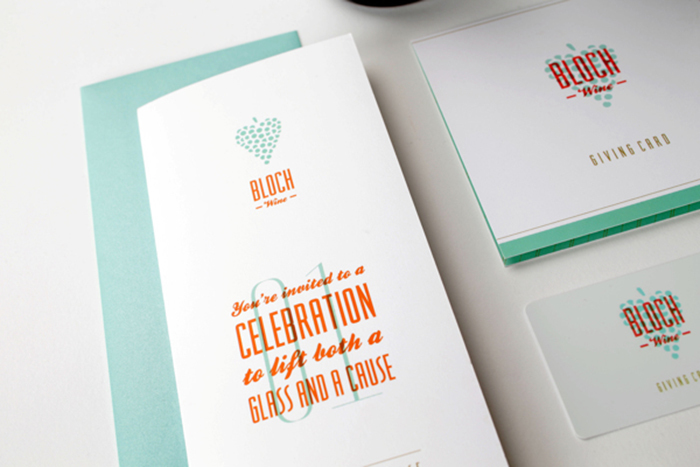 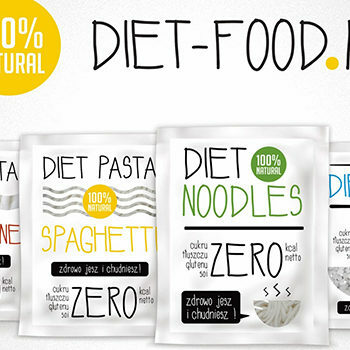 This project was a collaborative effort by the creative team at DMH. 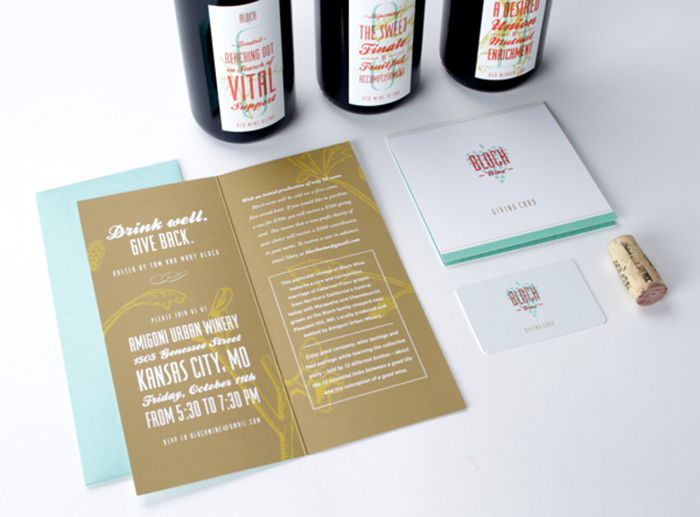 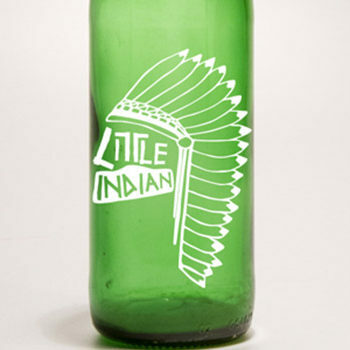 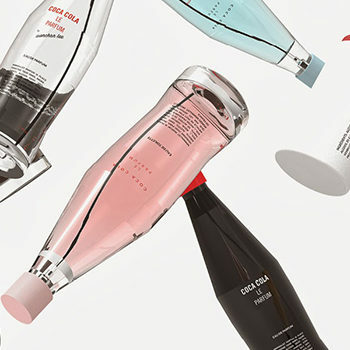 Designed by: Megan Collins, USA.